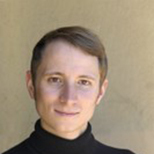 Max Franks is a member of the Policy Instruments group at the Potsdam Institute for Climate Impact Research. The focus of his research lies on the possibilities for unilateral climate policy and the interface between public economics and the economics of climate change. In particular this includes the areas of sustainable development, tax competition, the supply side dynamics of fossil resource extraction, and the intra- and intergenerational distribution of wealth.